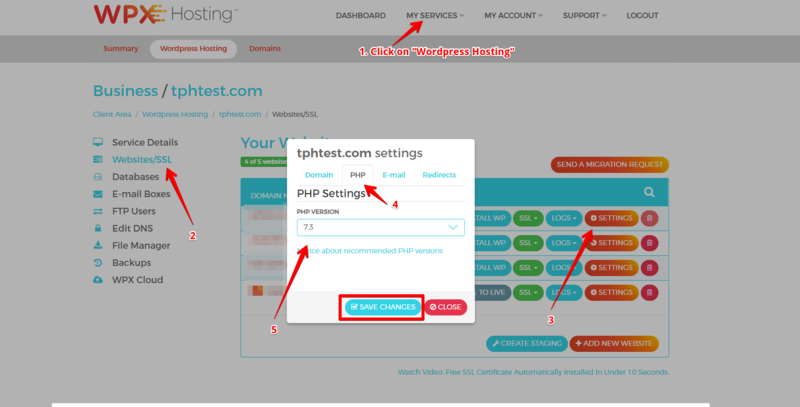 Does WPX Hosting Support PHP 7.x? Yes, we do indeed support all PHP versions, including the latest PHP 7.3! PHP 7.X can potentially improve the speed of your sites significantly however, there are possible dangers; see below for more details. Please note that PHP 7.X might not be supported by some plugins and themes you may use. Be sure to check your that websites are working smoothly after the PHP upgrade. If you're unsure, check with the developers of your themes and plugins BEFORE enabling them inside your WPX admin panel. Otherwise, you can test it by switching to PHP 7.X and reverting back to an earlier PHP version if your site stops functioning correctly. Head over to WPX Facebook page (and follow us here). Take a look at our promo page. More information about PHP 7.X you can find on our German page. "I got a reply to my ticket in 5 minutes, they had started working on my migration."